Every day living is simpler at Bella Vita. We include secure community entry, at-your-door trash service, an in-apartment washer/dryer, cable with high-speed internet service and even bi-weekly housekeeping as part of your monthly rent. 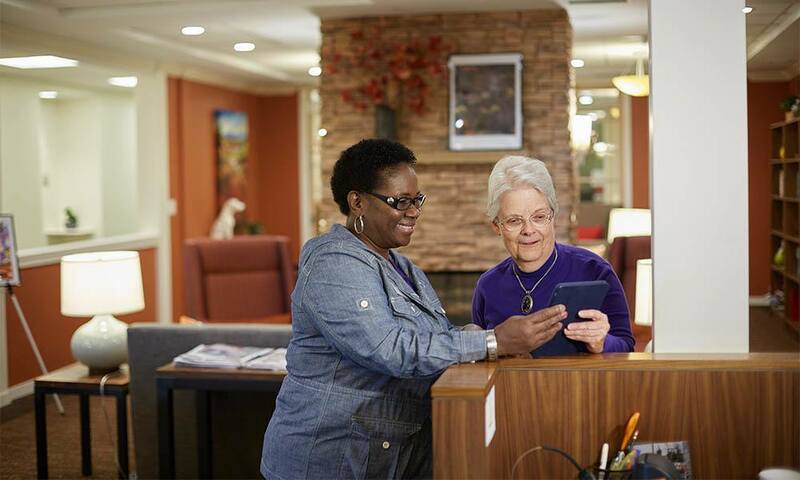 Our concierge service is like having a personal assistant. They are here to help, whether it’s scheduling appointments, making reservations, booking transportation or finding a good mechanic. Bella Vita provides residents with help in managing all those details and more, for no additional charge. You’ll find people with a wide range of interests and experience enjoying the active lifestyle of Bella Vita. Bella Vita makes it easy for residents to enjoy the beautiful life together by providing a variety of places to connect free to Bella Vita Residents. A 3rd floor terrace lets you enjoy a spectacular view of the Front Range while grilling out or just soaking up a little Colorado sun. A well-equipped fitness center, open 24 hours, means you can stay fit regardless of the weather. A variety of private spaces are available to host family gatherings, business meetings our your favorite club or organization. A multi-function room is equipped with a large-screen TV for sharing the big game and other gatherings. Other shared spaces include a café area, a game room and a craft area.